Phones and Circuit Card REPAIR -DON'T THROW THAT BROKEN EQUIPMENT AWAY! Let us REPAIR/REFURBISH it for a fraction of the cost! 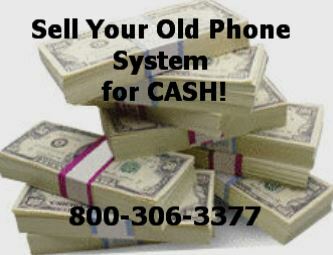 If you are looking for a sophisticated refurbished or new phone system with robust features. then your business needs to look into an Iwatsu Phone System. Looking for Older refurbished Omega phones or the Adix Refurbished Iwatsu Phones? Well, Look no further. You found them. If you have been trying to find ways to upgrade your phone system, Iwatsu Omega or Adix phones have been great choices for doing just that amongst many small businesses around the country. Don't be left behind. We buy and sell new & Refurbished Iwatsu Phones to businesses just like yours everyday. Many of our customers are repeat customers because of our prices and commitment to quality refurbished products. Dont be fooled by the competitors. Most of the time they wipe phones off and put it in a box and ship it to your location. We bring every phone back to manufacturers specifications and with a 1 YEAR WARRANTY. Not a 30 day in small fine print at the bottom of the website. Refurbished Iwatsu Phones- You have found the One Stop Shop for All Iwatsu Telephone Equipment! Call us today to compare the refurbished pricing, quality and customer service for the Iwatsu Omega and the Iwatsu Adix phones, voice mail, phone systems and all other Iwastu phone components. Order TODAY!!!!! Again, if you dont see what you are looking for, please call for availability. We also REPAIR all Refurbished Iwatsu Phones and Circuit Cards as well.